Hendrix the horse lives in a field. Just like any other normal nag. Until world-famous rockers, Tumbling Pebbles, burst into his world. They’re headlining the music festival being held in the field next to his, and Hendrix soon discovers that he LOVES to rock! 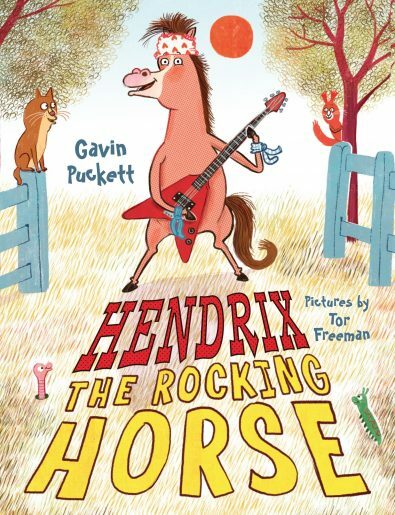 So when Hendrix finds an electric guitar, it’s obvious what his next steps should be: tie a pair of pants round his head, some socks round his forelocks and reinvent himself as ‘The Rocking Horse’! But will the band like the competition? And what will happen when they find that Hendrix’s new guitar is theirs . . . ?